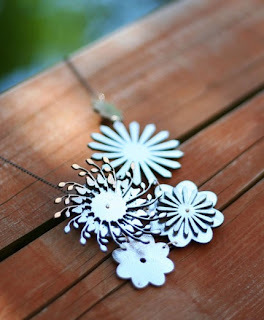 Seattle designer Andrea Bijou has just come onto the scene with her jewelry company, Bijoudally. In this piece she uses layers to give the pieces depth. I think your redundant title is redundant.